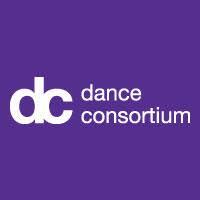 Before you start this survey, if you are not very familiar with the Dance Consortium website please take a couple of minutes to look at the site and visit some of the pages. As someone who has shown an interest in Dance Consortium, we would like to canvas your views on the current website and think about what a new website might include. * 1. Before this survey, when was the last time you visited the website? * 2. What content would you wish to find on this website? Rate from least important to most important. * 3. How do you rate the current design of the website? * 4. How do you rate the content you have seen on the website? * 5. How easy do you think the website is to navigate? * 6. What would like to see more of on a new website? * 7. What do you most like or find useful about the current website? * 8. What other dance websites do you like? * 10. Which option describes you? * 12. Finally, enter your email if you would like to enter our prize draw to win two tickets to a future performance from Dance Consortium. (Your address will only be held for the purposes of this competition and then deleted).